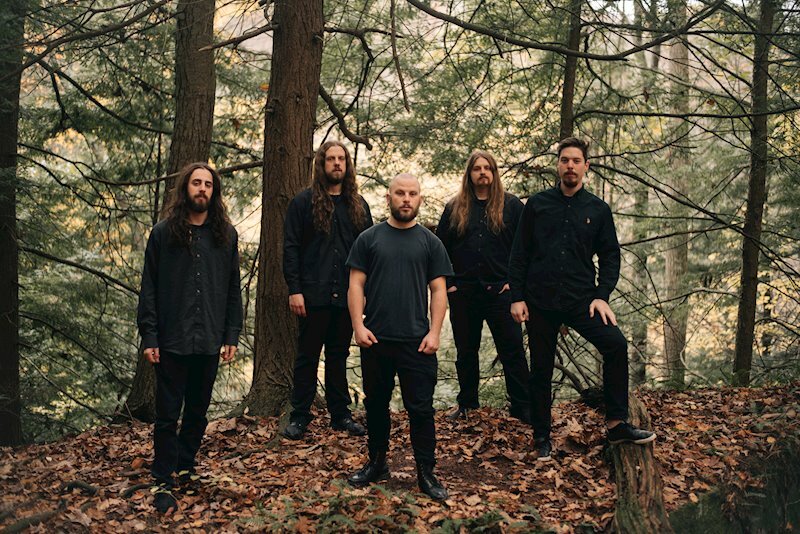 Rivers of Nihil are set to drop a new album and music is not the only thing that is going to drop… jaws will follow! Where Owls Know My Name is a well-crafted progressive opus with powerful dynamics that take the listener to sonic landscapes ripe with intensity, melody and crushing rhythms that are sure to incite mosh-pits. After a short atmospheric intro tune, the album jumps right in with “The Silent Life” which contains a technically simple rhythm riff that is so engaging and groovy. Combined with fast double kick drumming in behind, I can already see the pit stirring. In the middle of the song the tone changes to an airy mellow moment where we experience our first saxophone solo of the album. This part escalates to a climax where the sax is just insanely ripping through the track only to culminate with a return to the main riff. “The Silent Life” is an excellent representation of the dynamics and solid songwriting found on this new offering. Clocking in as the longest tune on the album, “Subtle Change” is the essence of epic. After a mellow opening, the song drops into a cavern of heaviness with the vocals covering both the growling approach and the clean singing approach. A great combination!! It then moves into a incredibly tight prog section that almost has your head spinning, but in the best way possible, quickly joined by a keyboard solo. Where Owls Know My Name also presents part three of the instrumental series entitled “Terrestria.” Part one, “Terrestria I: Thaw” is found on the debut album, The Conscious Seed of Light from 2013, part two, “Terrestria II: Thrive” comes from album two, Monarchy from 2015. Part three, “Terrestria III: Wither” could potentially be the climax of this series, but time will tell. Despite lacking lyrics and/or vocals, these tunes manage to convey sentiments held within the title of each. “Terrestria III: Wither” being harder and darker than the original installments. That brings us to the title track and my latest obsession, “Where Owls Know My Name” which features Andy Thomas from Black Crown Initiate. Beginning melodically with a light groove and, what I believe to be, Andy’s vocals taking us to a place of comfort and reflection. Of course the tone turns to a much heavier section of riffs and growls before leading us to yet another gorgeous sax moment. The simple fact that sax is included on this album got me interested, but after hearing it used with such poignant placement made me love this album that much more. To be able to take an instrument not common in death metal, or even metal in general, and make it such an effective and important addition to these compositions is nothing short if genius. If you’re a fan of dynamic, progressive death metal that is not bound to any musical preconceptions of genre, Where Owls Know My Name is certainly an album you’re not going to want to miss. 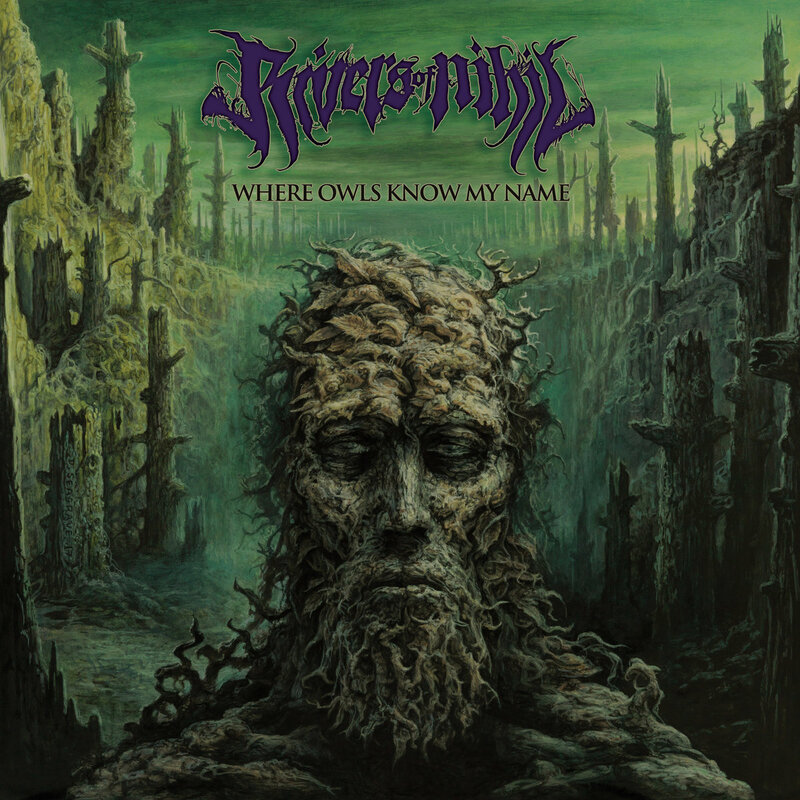 Rivers of Nihil have created a sonic landscape full of amazing contrasts. Darkly beautiful, sinister yet comforting and melodically engaging without losing the powerful impact that death metal is known for.